(Coppell, TX) – The statewide gas price average in Texas is now $2.07 for a gallon of regular unleaded fuel, according to the AAA Texas Weekend Gas Watch. That price is seven cents more than last week and 44 cents less per gallon than last year. Of the major metropolitan areas surveyed in the Lone Star State, drivers in Dallas are paying the most on average at $2.15 per gallon while drivers in San Antonio are paying the least at $1.99 per gallon. Nationwide drivers are paying an average of $2.29, which is six cents higher than last week and 45 cents less per gallon than last year. Gas prices are at their highest point for the year as we approach the Memorial Day holiday. Despite this increase, drivers remain on target to pay the lowest prices for the Memorial Day holiday since 2005. AAA projects more than 38 million Americans will travel this Memorial Day weekend. That is the second-highest Memorial Day travel volume on record and the most since 2005. Nearly 34 million (89 percent) holiday travelers will drive to their Memorial Day destinations, an increase of 2.1 percent over last year. In Texas, nearly 3.7 million people will travel Thursday, May 26 to Monday, May 30. Of those Texans traveling, 2.7 million will go by automobile which is an increase of 1.7 percent over last year. Drivers in Gulf Coast states continue to pay some of the nation’s least expensive prices at the pump. 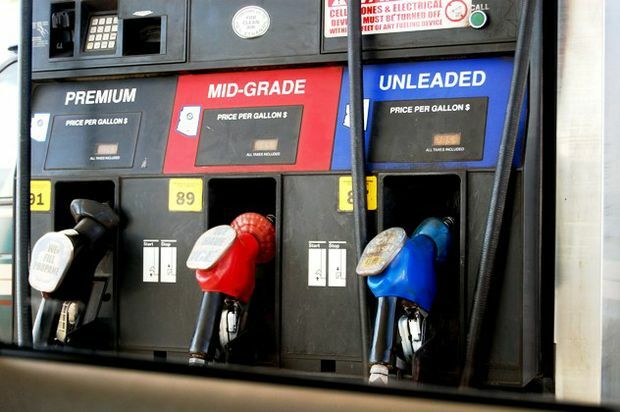 Consumers in the Gulf Coast have seen prices climb higher on the week with every state posting an increase of a nickel or more per gallon at the pump. Gas prices are reportedly responding to a number of refineries in the region going offline to conduct unplanned maintenance, including Marathon’s Galveston Bay, Texas plant, which is one of the country’s largest and most complex refineries. Despite the region’s production challenges, the market remains well supplied with gasoline and prices are expected to remain relatively low. AAA Texas supports Texas Department of Transportation’s “Click It or Ticket” campaign which reminds the public seatbelts save lives. Law enforcement officers statewide will step up enforcement efforts over the holiday weekend. Every person in a vehicle, front seat and back seat, needs to buckle up or face fines and court costs up to $200. Children younger than eight years old must be in a child safety seat or booster seat unless they’re taller than 4 feet 9 inches. To help members and non-members identify quality auto repair shops that can assist in the maintenance and repair of their vehicles, AAA offers the Approved Auto Repair program as a free public service. Motorists can look for the Approved Auto Repair sign at local auto repair facilities, or search for a nearby AAA-approved shop online at www.AAA.com/Repair. AAA Texas branch offices throughout the state can be found by visiting www.AAA.com. Follow AAA Texas on Twitter: @AAATexas and Facebook: www.facebook.com/AAATexas.